Aimal Faizi – Page 2 – Afghanistan: Questioning the "War on Terror"
Aimal Faizi https://aimalfaizicom.wordpress.com Journalist, writer, one-time spokesperson & director of communications to the former Afghan President, Mr. Hamid Karzai. As U.S. President Barack Obama leaves office on January 20, he leaves behind an unfinished conflict, the longest lasting and least successful U.S. war in history: Afghanistan. For Afghanistan and the Afghans, Mr. Obama was a President of contradiction whose Afghan policy proved markedly disastrous. He wrongly believed that he would win the War on Terror militarily and by appeasing the military establishment in Pakistan. His successor, Donald Trump, should change course in Afghanistan. For Mr. Trump’s administration, it is imperative to limit the impact of the conflict in Afghanistan on the Afghan people, and compel Pakistan to squeeze those who harm Afghanistan and nurture, shelter and finance forces of terror. The new U.S. President must address Pakistan’s treacherous role in Afghanistan at full tilt. On February 22, 2012, in a three-page letter, President Obama wrote to then Afghan President Hamid Karzai that he remains “concerned about the safe havens in Pakistan and the threat they pose to Americans and Afghans”. He added: “We will continue to use the various means at our disposal to degrade the safe havens [in Pakistan] and to disrupt attacks into Afghanistan.” But no serious efforts were actually undertaken by the Obama administration “to degrade the safe havens”. 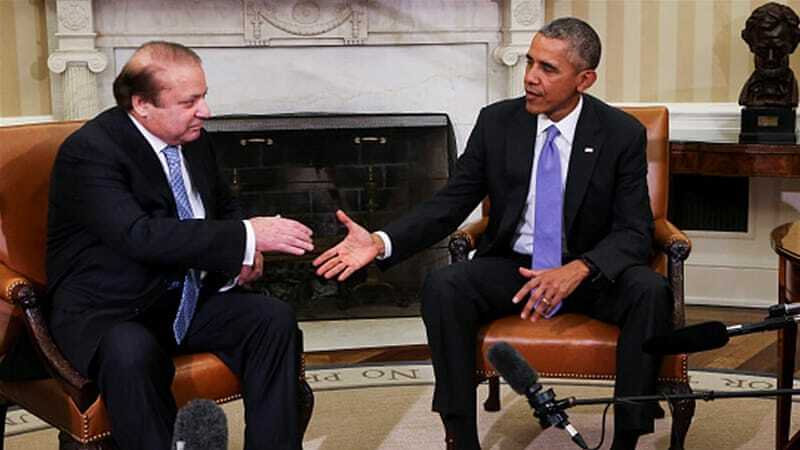 In the eight years of his presidency, Mr. Obama’s administration remained largely passive in taking firm action against Pakistani state support for terrorism. The reluctance vis-à-vis Pakistan was to the extent that even after exits of Osama bin Laden, and top Taliban leaders Mullah Omar and Mullah Akhtar Mohammad Mansour, all three of whom lived and were killed or died in hiding in Pakistan, Washington showed no desire to change the status quo. Contradicting his earlier statements, in 2014, Mr. Obama told Mr. Karzai that Pakistan is a strategic “ally” in the War on Terror, and while already fighting a war in Afghanistan, his administration “cannot open another front against Pakistan”. He repeatedly urged his Afghan counterpart to address Pakistan’s “concerns” about the Indian influence in Afghanistan. Encouraged by Pakistan, the U.S. President even suggested that Mr. Karzai find a “resolution of differences” on the Durand Line with Pakistan. He proposed that “any issues concerning the border must come through mutual agreement between the parties concerned”. Mr. Karzai’s stance on both key issues was clear: Afghanistan cannot and will never accommodate Pakistan’s desire to control Kabul’s foreign policy, nor can it be expected to recognise the imposed Durand Line. The focus of Mr. Obama’s foreign policy was on Pakistan rather than Afghanistan. In his address to the nation on Afghanistan and Pakistan, in December 2009, he said: “We will act with the full recognition that our success in Afghanistan is inextricably linked to our partnership with Pakistan… In the past, we too often defined our relationship with Pakistan narrowly. Those days are over.” Mr. Obama’s Afghan and Indian audience were taken aback by his remarks that “there is no doubt that the United States and Pakistan share a common enemy”. Under Mr. Obama, the U.S. administration “made heavy use” of its “warm relationship with Pakistan’s army chief” and even “extended” Ashfaq Parvez Kayani’s term in office. Seymour Hersh, an eminent American journalist and a Pulitzer Prize winner, wrote in his 2016 book The Killing of Osama bin Laden that under President Obama, Pakistan’s Inter-Services Intelligence secured “a commitment from the U.S. to give Pakistan ‘a freer hand’ in Afghanistan as it began its military draw-down there”. The outcome was that more Pakistani and regional terrorists were intentionally pushed to make their way across the Durand Line into Afghanistan. And this time, they terrorised and slaughtered Afghans (mainly Hazaras) under a new brand: the Islamic State. The “$33 billion” of U.S. assistance to Pakistan, of which “$21 billion” were given under President Obama, badly failed to change Islamabad’s policy of supporting terrorism and radicalism. And the Afghans, as well as the American women and men in uniform, paid a high price in blood. In Afghanistan, Mr. Obama’s policy, as seen by Afghans, was about putting more boots on the ground, blind bombardments, more drone attacks, heavy reliance on special forces, fruitless military operations in Afghan homes and villages. It was certainly not what the Afghans were expecting of him as a black American President with a Muslim family background. As the President of “hope” and “change”, Mr. Obama came to office with the message of ending “the mindset that causes war”. He spoke of returning America to the “moral high ground”. His rhetoric was that the war in Afghanistan is “a war of necessity” and a “war that we (the U.S.) have to win”. In his farewell speech, the outgoing President said: “For the past eight years, I’ve worked to put the fight against terrorism on a firm legal footing.” But an intensified U.S. drone campaign, assassinations, covert operations, ineffective night raids, illegal detention of more than 5,000 Afghans in the Bagram prison were not only a clear violation of Afghan sovereignty but of international law. The Obama administration severely undermined human rights by downplaying the threat of its overall military operations to civilian lives in Afghanistan. The mindless killing of the Afghan civilians — elders, women and children — was the symptom of his weak and failed policy. The substantial militarisation of the U.S. Afghan policy and the expansion of war killed any chance of peace in Afghanistan. The war in Afghanistan was expanded and gradually Afghanised. Though I do not expect that key objectives of the U.S. foreign policy will necessarily change under the new administration, President Trump can avoid the errors of the past in Afghanistan. He should boost the security and defence capabilities of the Afghan national armed forces. On Afghanistan, Mr. Trump should embrace a vibrant diplomacy and regional cooperation towards Russia, China, India and Iran. Last but not least, under the new American administration, the world must witness clarity and a clear shift in U.S. strategic thinking vis-à-vis Pakistan. Ashraf Ghani’s deal with a hardline party is a positive step, but Gulbuddin Hekmatyar has a lot to deliver. As an aide and one-time spokesperson to the former president of Afghanistan, many journalists and observers of Afghanistan ask me why the recent peace deal between the Afghan government and a hardline Afghan militant group, Hizb-e-Islami (HIG), wasn’t brokered under Hamid Karzai? Is it a positive development for the country and will it have any impact on the security situation in Afghanistan? While the negotiations for brokering the peace deal began years ago – under the previous Afghan government – its successful conclusion last month could only have happened with US acquiescence. I believe the signing of the peace pact and its timing has the full backing of Washington. It shows beyond doubt that the key to peace deals with Afghan armed groups is with the United States and Pakistan, where Afghan rebels are based. However, the deal will not have any immediate impact on the security situation.Terrorist activities in Afghanistan originate from outside the country, therefore, the country will remain vulnerable. Terrorism will continue to be an enduring phenomenon for years to come. It is imperative for HIG, without further ado, to vow to put differences and violent domestic rivalries with other Afghan political groups aside, accept the Afghan constitution and gain public trust. The Afghan people should not hesitate in embracing and supporting the peace accord with HIG. Afghanistan is a nation which has bled for far too long; entire generations have known nothing but conflict. The only way for the nation to heal now is through reconciliation and accepting each other. In war-torn Afghanistan, with so many pretexts for violence, Afghans must reject every excuse and reason for war. In the early 1990s, when Afghanistan spiralled into a brutal war between competing Mujahideen groups, Gulbuddin Hekmatyar helped rescue Hamid Karzai, then-deputy foreign minister, who was wounded in a rocket attack in Kabul – transporting him out of the country. After becoming president, Karzai attempted on many occasions to woo Hekmatyar to abandon armed opposition, return and join the political process in the post-Taliban Afghanistan. 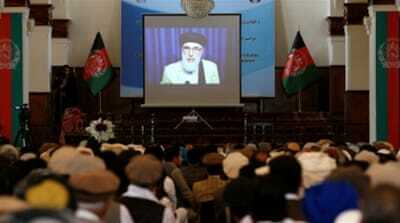 With the green light from Karzai, many members of Hizb-e-Islami joined the Afghan government. Whether as cabinet ministers, governors or parliamentarians, they gradually occupied a significant number of key positions. It all happened under Karzai’s doctrine of “making Afghanistan, once again, the home of all Afghans”. In May 2008, Karzai released Ghairat Baheer, Hekmatyar’s son-in-law, (who was detained by Pakistan in 2002 and was then in US detention for six years), from prison by a presidential decree. The very same delegation representing Hekmatyar, which negotiated and finalised the recent peace accord with Ashraf Ghani’s government last month, first began a series of contacts and meetings with Karzai’s government in 2010. After his release, Baheer, in charge of Hizb-e-Islami’s political affairs, became Hekmatyar’s chief negotiator with the United States and the Karzai government. He met US officials in and outside Afghanistan and remains the main point of contact in the present climate. The very same delegation representing Hekmatyar, which finalised the recent peace accord with Ashraf Ghani’s government last month, first began a series of contacts and meetings with Karzai’s government in 2010. Karzai “personally held peace talks” with the HIG’s envoys, receiving their delegation in his office. The messengers brought letters and demands from their leader to the Afghan president. They questioned his policy and agreements with Washington, and the US military presence in Afghanistan, while also briefing the president about their own meetings with the Americans. They discussed issues related to the region and the future of the Afghan political system. They would also meet Karzai’s national security adviser for a briefing on the Afghan-US strategic partnership agreement. There will be “elections”, he’d said. Karzai wished he could see “Hekmatyar, Fahim [former Afghan vice president], Ashraf Ghani and others” standing for elections. You have a political “vision” but “you have lost many opportunities”, said Karzai. 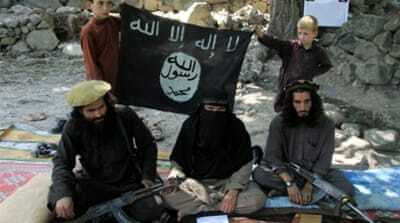 Hizb-e-Islami has a “future in a free democratic system” in Afghanistan. Let’s not waste more time, he added. Finally, after years of negotiations and Washington’s unwillingness to assist the peace process, Hekmatyar has the signed peace deal in hand now. A spokesman for Hizb-e-Islami, Haroon Zarghoon, recently told the media that “America knows about the peace negotiations” between the Afghan government and Hizb-e-Islami, and Washington has its “interest” in it. He added that soon all international sanctions on Hekmatyar and the Hizb-e-Islami would be removed. According to reports,HIG’s representatives will be visiting the US “soon”. 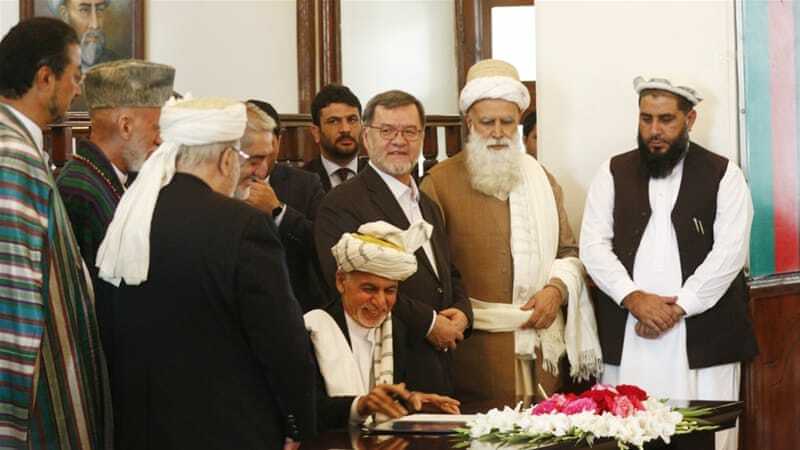 While it is a noteworthy achievement and a win-win development for both HIG and Ghani, to make the deal succeed, Hekmatyar and his party have a lot to deliver. Afghans have not forgotten the loss of their loved ones and all the bloodshed of the early 1990s. Hekmatyar must put all domestic rivalries with other political groups (mainly Jamiat-e-Islami) aside for a worthy cause. HIG should work for the strengthening of national unity and Afghanistan’s relations with all regional powers. Those political groups who fear the possible return of Hekmatyar to the country and echo the slogan of “justice” need not worry. While “many were responsible”, he said, pointing finger at one “would look like political manoeuvring, not justice”. Instead of prolonging the war in Afghanistan, US and NATO must tackle the root of the problem – in Pakistan. Last week, with the announcement of modified troop plans for Afghanistan, US President Barack Obama also reiterated that there would be no shift in US strategic thinking vis-a-vis Pakistan and that Washington has no desire to change the status quo. After the killing of Taliban leader Akhtar Muhammad Mansur in Pakistan last May, many observers erroneously concluded that the incident was a “major break” and “a telling manifestation of the change in US-Pakistan relations”, one which would “provoke a crisis” in the relationship between the two countries. However, last Wednesday, while touching upon the killing of Mansur in a US drone strike, Obama deliberately made no mention of Pakistan, where Mansur and his predecessor, Mullah Omar, both lived and died in hiding. It was therefore strange to hear the US president calling “on all countries in the region to end safe havens for militants and terrorists”, with no reference to Pakistan at all. From the Afghan perspective, this means giving assent to the Pakistani military’s brutal war in Afghanistan in the guise of fighting the Taliban and the Afghan insurgency. Why does Washington tacitly embrace Pakistan’s duplicity on Afghanistan? The US has major long-term strategic interests and objectives in Afghanistan and the region (South and Central Asia) which are being facilitated and protected through Pakistan and an open-ended US military presence in Afghanistan. According to US calculations, Pakistan must remain in the US sphere of influence. This harsh reality is why Americans look the other way when Pakistan says one thing and does another. After the fall of the Taliban regime in Afghanistan, Pakistan’s military rulers owned a policy of selective counterterrorism. While they detained and sold hundreds of al-Qaeda operatives to Washington, the Taliban’s comeback in Afghanistan was accelerated from Pakistan, under US watch. After the fall of the Taliban regime in Afghanistan, Pakistan’s military rulers owned a policy of selective counterterrorism. During the tenure of President Pervez Musharraf, “the ISI encouraged the resurgence by providing training, a safe haven, and even some advisers” to the Afghan Taliban and Pakistani terrorist groups to intimidate Afghanistan and challenge its stability. The Bush administration “allowed Pervez Musharraf to give the Afghan Taliban a sanctuary”, according to Bruce Riedel, a former CIA officer, a senior adviser to US presidents and author of Deadly Embrace. After the collapse of the Taliban regime in Afghanistan, the CIA received “no policy guidance” regarding senior Taliban leaders in Pakistan. The CIA station in Pakistan “would come across reports indicating that members of the Taliban Shura were pitching up in Quetta or Karachi”, but the “leads” were then passed to the Pakistani spy agency to investigate, as claimed by Grenier. It was “obvious”, he argued, that Pakistan had no intention of chasing the Taliban on its soil. For the Pakistani intelligence agency, in this new post-Taliban strategy, low-cost Pakistani terrorist groups from North Waziristan region also became an asset – beside the Afghan groups – to run a controlled chaos in Afghanistan. The Pakistani government denies it but to Karzai’s government, senior US officials disclosed accounts of Pakistani support for the Taliban and other anti-Afghanistan groups. In his book, After the Taliban: Nation-Building in Afghanistan, James Dobbins, the special US envoy for Afghanistan and Pakistan, wrote that Pakistan’s ISI and Frontier Force “collaborated with the Taliban and other insurgent groups operating out of Pakistan’s border regions”. US Army General John Campbell, the last American and ISAF commander in Afghanistan, publicly acknowledged that “based in, and operating from Pakistan HQN [the Haqqani network] remains the most virulent strain of the insurgency” in Afghanistan. The HQN “presents one of the greatest risks to Coalition forces, and it continues to be an al-Qaeda facilitator”, he added. The Pakistani government remains in a state of denial, stating that it “condemns all forms and manifestations of terrorism” and that peace in Afghanistan is in the “interests of Pakistan“. Nevertheless, whenever questioned on the lack of action against the Pakistani dimension of the conflict in Afghanistan, senior US officials including Obama repeatedly put Karzai in the picture that “Pakistan is not susceptible to an American military response”. But addressing the problem of Pakistan’s relationship with terror, does not necessarily mean taking a military action against the country. In a telephone conversation, in 2014, while discussing preparations for the Bilateral Security Agreement between the two countries, Obama told Karzai that Washington “cannot open another front against Pakistan”. Pakistan is a strategic “ally” in the war on terror. During a visit to Washington, in 2013, Obama asked Karzai to take Pakistan’s “concerns” about the Indian influence in Afghanistan “seriously”. It was a baseless Pakistani narrative coming from a US president. I would argue that if, as a matter of fact, the Pakistani Taliban (TTP) has sanctuaries in Kunar (as claimed by Islamabad), and from there they plan and carry out attacks on Pakistan, Washington should be answerable for it. As late as mid-2014, there were “more than 60” small and big US military installations in the province. In the fullness of time, the Bush and Obama administrations both remained largely passive to take firm action against Pakistan’s double dealing in its foreign and security policies on Afghanistan. Today, like in the past, the Pakistani military establishment serves the US in securing its strategic interests in south and central Asia. In this risky role, as stated by a former senior US official in Grenier’s account, “the unwritten rule for Pakistan has been never to admit engaging in activities of which Washington disapproves; and in fact, such duplicity is tacitly welcomed by the Americans during times”. Yet, Washington will further risk trouble with Afghanistan and regional powers. Disregarding the undeniable role of Pakistan’s military and intelligence services in nurturing and harbouring Taliban and other violent groups destined to upset the stability of the region will undoubtedly lead to calamity and ruin, in all likelihood another 9/11. Instead of prolonging the futile war in Afghanistan, the US and NATO must tackle the origins of security threats and the key problem of sanctuaries in Pakistan. How can Ashraf Ghani wage an effective military campaign in Afghanistan if the origin of the threat is in Pakistan? Suffering from a frenzied response to the increasing terrorist threats emanating from Pakistan, President Ashraf Ghani has hardened his position on war and peace in Afghanistan. Under a recent presidential directive, the Afghan security forces are ordered to use anunprecedented level of force against the Taliban in the country. But Ghani’s ill-advised war policy is trapping the Afghan national armed forces in an enduring foreign war, which itself has become a more fearsome enemy to Afghans than the terrorists it is supposed to fight. Intensifying military operations in Afghanistan against enemies who are “based in and operating from Pakistan”, and who are motivated to die as martyrs, is not the solution to the problem. It has become the problem. It is imperative for Ghani to urge Washington to end its inaction against the long-existing problem of sanctuaries for the Taliban and the Haqqani group in Pakistan. The US must fix or capture the Taliban leadership in Pakistan. Since its establishment, the Afghan national unity government has owned the US military strategy by doing everything in its power to Afghanise the US’ unending so-called “war on terror” in Afghanistan. According to Ghani, over the past 13 months Afghan national security and defence forces have conducted “more than 40,000” military operations and more than 16,000 resolute operations within the country. Under Ghani’s national unity government, the US forces have a total free hand in conducting their military operations in Afghanistan, from drone strikes to unlawful house search. It is about 100 combat operations and 40 resolute operations every day, all carried out on Afghan soil. Since the escalation of fighting, from 2015 onwards, there have been reportedly around 4,000 Afghan detainees held in Bagram prison without any legal process, despite concerns raised by the human rights organisations. Ghani signed a decree last year which, according to international human rights groups, allows the detention without trial of Afghans suspected of planning acts of terrorism and “attempts to end-run the legal system“. Under Ghani’s national unity government, the US forces have a totally free hand in conducting their military operations in Afghanistan, from drone strikes to unlawful house searches. But implementing all these US designs has not helped Ghani to improve the deteriorating security situation in the country. Rather, it has been counterproductive. The violence and the suffering of the Afghan people continue to linger on more than ever before. According to the United Nations Assistance Mission in Afghanistan, UNAMA, the war in Afghanistan has caused around 2,000 casualties in the first three months of 2016. There were more than 11,000 civilian casualties, including 3,500 deaths in 2015. The figures are the highest of the past decade. 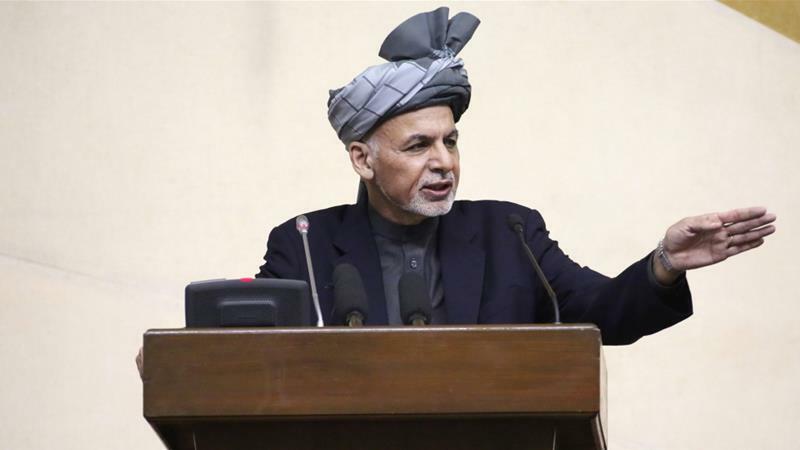 In his symbolic speech to a joint session of the houses of parliament on April 25, after a deadly terrorist attack in Kabul, Ghani pointed a finger at “Peshawar and Quetta” from where, he said, the “enemies” send terrorists to shed blood and destroy the people of Afghanistan. Although Ghani mentioned the Haqqani group and “some Taliban” as the enemies of Afghanistan, he fell short of naming the enablers and those who nurture them in Pakistan. He asked Islamabad (for the third time publicly since becoming president) to take military action against Taliban’s “centres inside Pakistan and whose leaders are residing inside Pakistan”. The demand was not new. Last August and earlier this year, after some deadly terrorist attacks in Kabul, Ghani made similar calls, pointing out that Afghanistan no longer wanted Pakistan to bring the Taliban to the peace talks, but rather wanted it to eliminate their sanctuaries on Pakistani soil. But the problem is that Ghani wants to “stand against” the Haqqani group and the Taliban militarily in Afghanistan. How can Ghani and his strategic ally, Washington, have an effective military campaign in Afghanistan if the origins of the terrorists’ threats and the sanctuaries are in Pakistan? The answer is simple: any military efforts to eliminate the enemy militarily in Afghanistan will have no effect. Secondly, if there is a continued reluctance by the US to genuinely pressure Pakistan’s military establishment and to address the political dimensions of terrorism in the region, why would Pakistan give up on its “strategic assets”, the Haqqani group and the Taliban? The 18-month-old rapprochement between Ghani and the Pakistani military leadership proved to be one-sided. The war will certainly go on. War as a formally declared state of affairs is a thing of the past. Therefore, as Ghani has echoed in the past, Pakistan is in a state of “undeclared war” with Afghanistan. In this “undeclared war”, as Rudyard Kipling once said, “the odds are on the cheaper man” and Pakistan has no shortage of the “cheaper man”. The Taliban and the Haqqani group are low-cost and easily available tools of foreign policy for the Pakistani military establishment. The prime minister of Pakistan again signalled cooperation on the peace process after Ghani’s April 25 speech by sending an envoy and a message to Kabul. But Afghans believe that the situation in Pakistan does not allow the civilian governments to hit upon an independent Afghan policy. Its intention is to carry on inflicting massive damage to Afghanistan and intimidate Kabul for its political objectives in the region year in and year out. Afghanistan is caught in the nets of a foreign-imposed war, in which the more it strives for fighting it, the more entangled it becomes. Therefore Ghani should break all vicious circles in the “war on terror”. As the former Afghan President Hamid Karzai urged the national unity government in a recent statement, Ghani must direct all resources towards the foreign drivers of the war. Otherwise “inciting hatred and violence” within Afghanistan will only make the country slide further into “an endless conflict”. It is not anti-Americanism for Afghans to question the US military presence and the ‘war on terror’ in Afghanistan. The Taliban has rejected the Afghan government’s offer for peace talks as “futile” and “misleading”, saying they would be “contradictory” in the face of the fresh deployment of US troops and continued US air strikes and night raids in Afghanistan. Last week’s rebuttal came after the Pentagon deployed “hundreds” of new soldiers to back US elite forces in combat against the Taliban in Helmand, a strategic southern Afghan province. Beating the war drums, the Pentagon is convinced that the United States remains in an armed conflict with the Taliban – according to a December 2015 Pentagon report on the situation in Afghanistan. In line with US war policy, Afghan President Mohammad Ashraf Ghani persistently warns the Taliban to choose between peace and war. “We will crush those who choose to fight us,” said Ghani speaking in a graduation ceremony of Afghan military officers last week. Chaired by the president, an Afghan National Security Council meeting last Tuesday ordered Afghan security and defence forces to repel Taliban threats. In the big picture of the ongoing war, the US and the Taliban both use incidents as pretexts to reignite war in Afghanistan. Both pretexts remain remarkably consistent and serve each other. Washington and Kabul must take steps to conclude the controlled chaos in Afghanistan by agreeing to end the Taliban drama once and for all. In 2014, after President Hamid Karzai’s unwillingness to sign the security pact between Kabul and Washington, US officials and their intelligence community’s assessments were signaling concerns about the future of Afghanistan. Washington’s narrative was that if the Bilateral Security Agreement (BSA) was not signed with Kabul, and if the US was unable to commit personnel and resources beyond 2014, the Afghan government would not be able to prevent the return of al-Qaeda to some parts of the country, and that the Taliban’s control over Afghan territory would grow. The US administration warned Karzai that the Taliban were “tough fighters” who had a strong Pakistani backing and a local “support” in Afghanistan and if the pact was not signed the potential for continued war and violence would be inescapable. Now, fast-forward a year and half after the signing of the BSA between Kabul and Washington, and this picture is exactly what today’s Afghanistan looks like. Earlier this year, US Secretary of Defense Ash Carter put the Afghans on alert when he said that there would be “tough fighting” seasons ahead in Afghanistan. James R Clapper, the US director of national intelligence, recently warned that fighting in Afghanistan will be “more intense” this year than 2015 and that Afghans will continue to face “sustained attacks” by the Taliban in 2016. According to the Pentagon, the Taliban is capable of contesting and taking key terrains in Afghanistan and it poses a “formidable” and “enduring” challenge to the Afghan national unity government. On the other hand, unidentified statements by faceless spokespeople from unknown addresses continue to give a voice to the mythical enemy in Afghanistan: the Taliban. They continue to reject calls for any possible end to the war. Peace is always preconditioned by the full withdrawal of US and NATO forces from Afghanistan. With different labels, today terrorists are able to carry out high-profile attacks in all parts of the country, more than ever before. As American officials portray it, based and operating from Pakistan, the Haqqani terrorist group remains a key threat to peace and security in Afghanistan. But how can Washington and Kabul win the war on the Taliban in Afghanistan when Sartaj Aziz, a senior aide to Prime Minister Sharif, publicly admitted during a recent trip to the US that the Taliban’s leadership is in Pakistan and under its country’s control? How can Afghans believe that the “war on terror” is being won, when the Taliban leadership and the Haqqani group continue to enjoy freedom of action in Pakistan? And how can an ordinary Afghan be convinced that the US has not been able so far to press Pakistan curb the activities of these groups on its soil? Such questions and the acknowledgments of top Pakistani officials – recently Sartaj Aziz, adviser to the prime minister, and previously Gen Parvez Mushrraf – about their grip on the Taliban cause a lot of misgivings and suspicions about Washington’s role in Afghan. Ground realities make it hard for the Afghan people to swallow the idea that US troops are present to continue the fight against terrorism in Afghanistan. It is the growing strength of the foreign-backed terrorist groups and the failure of US military strategies to counter them, that further supports the notion that there will be no military solution to the war in Afghanistan. More than 92,000 Afghans and about 2,172 US service personnel have been killed in Afghanistan over the past 15 years. Have no lessons been learned from past mistakes? Why is there insistence on repeating them? War in Afghanistan is a creation and, therefore, Afghans are urging an end to a needless war. Ghani’s government should cross-examine Washington on its policy towards Pakistan and the nature of its war on terror in Afghanistan. Kabul should embrace a greater emphasis on diplomacy and regional cooperation with a commitment to regional peacemaking initiatives by China, Russia, India and Iran. A peaceful solution to the conflict in Afghanistan must be a top policy goal for all sides involved. It is not anti-Americanism if Afghans question the US military presence and the so-called war on terror in their country, nor is it disengagement from the great American nation. We are simply resisting the war-making machine that has gripped our nation for too long. 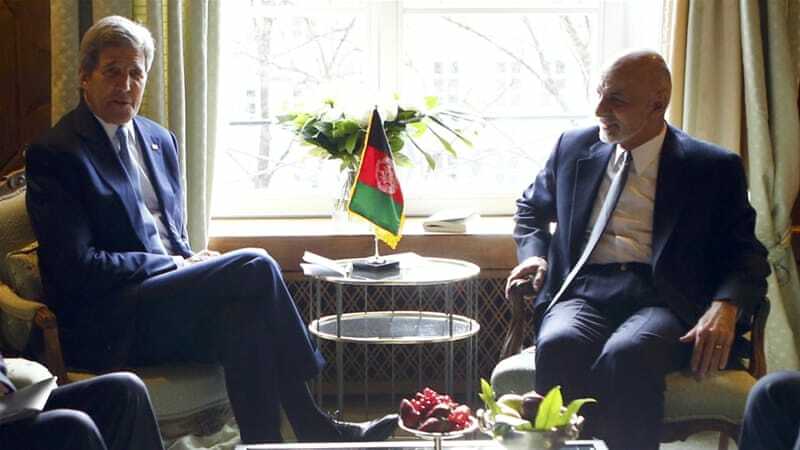 After welcoming the United States administration’s decision to give full authority to the US military to target ISIL affiliated groups in Afghanistan, Ghani says Daesh has “confronted the wrong people and they need to know the consequences”. And after 15 years of an aimless and failed war against a mythical enemy, why should Afghans allow another US war to take place, this time with a new enemy, the so-called “Islamic State”, in Afghanistan? The extension of the current unfruitful “war on terror” taking place in Afghan homes and villages will only make the US a country on a perpetual war footing, but not one that attempts to defuse conflicts and in turn improves security, stabilising Afghanistan and indeed the region. Just last week, US President Barack Obama’s administration loosened its rules of engagement for US troops in Afghanistan and the new authorisation places ISIL in the “same category as Al-Qaeda” in the country. US forces can now “kill ISIL [militants] in Afghanistan just for wearing the T-shirt or waving their flag”. The report adds that ISIL in Afghanistan is fighting “for the establishment of a safe haven” and it has “successfully seized pockets of terrain” in the country. But I quiz the US military leadership on the hows and whys of ISIL’s progress in Afghanistan. How has ISIL, a non-indigenous force, progressed in Afghanistan under the “close watch” of the US? Who are its militants and how and where do they get their support from? How has ISIL, a non-indigenous force, progressed in Afghanistan under the ‘close watch’ of the US? 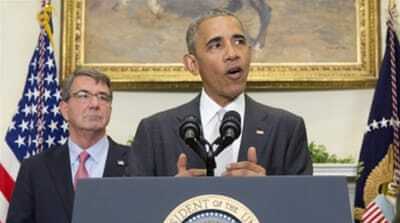 Later, he affirmed that ISIL remains one of his “priority intelligence requirements” and its threat is “nascent”. In June 2015, the Pentagon asserted that it “closely watches ISIL” in Afghanistan. In their messages, the US military sources were describing ISIL’s activities as “limited recruiting efforts” and its affiliates were named “rebranded” Taliban. In the US, the leadership described ISIL as being in its “exploratory phase” and downplayed its presence in Afghanistan. On the national and international stages, Ghani called “Daesh [ISIL] terrorism version 6” and “windows 7.0”, comparing it to Al-Qaeda, as described by him, “Windows 1.0”. In July 2015, he even went as far as proposing Afghanistan be used as a “regional hub” in the fight against ISIL by the US, after meeting with the US Chairman of the Joint Chiefs of Staff in Kabul. 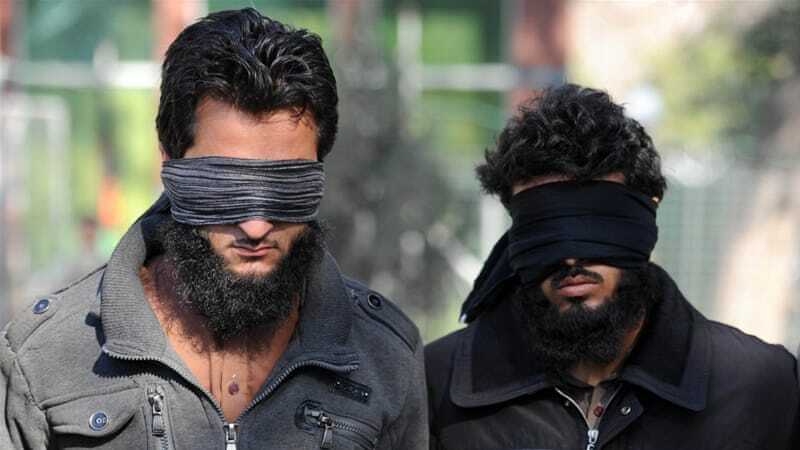 Meanwhile, between July and December 2015, unimaginable atrocities were committed by cold-blooded terrorists coming from the FATA region (belonging to the Pakistan’s state-sponsored terrorist organisation Lashkar-e-Taiba) on the Afghans, mainly in the eastern part of the country, under the name and black flag of ISIL. First deputy of the Lower House of the Parliament, Zahir Qadir accused Ghani’s government of “inaction” and “backing Daesh [ISIL]” in the eastern province of Nangarhar. Residents of the province and Afghan senators claimed that ISIL militants are being “dropped” by “unidentified helicopters” at night in their areas. All this further increases suspicions about Washington’s objectives and motives in Afghanistan and, of course, for the region. In order to counter the growing threat of terrorism in Afghanistan, Russia, Iran and China now “seek unlikely alliance” with the Taliban as they see “interests objectively coincide”. This begs the question, with the presence of some 9,800 US troops and several thousand NATO military personnel in Afghanistan, how did ISIL, a non-native force, make such headway in the country within a year? Is this a failure on the part of the US military and should they be held accountable for ISIL’s progress? Finally, why should Afghans now take more US bombs for it? India’s military assistance to Afghanistan will bolster regional stability, which is of fundamental interest for India as a South Asian power. New Delhi and Moscow are finalising the “the transfer of four Russian-made Mi-25 helicopters” to Kabul. According to an official source, “the decision is already done” and the “actual transfer and delivery” of the helicopters will take place in a month’s timeii. As a regional power and Afghanistan’s longstanding friend, India must further strengthen the security dimension of its strategic partnership with Kabul and positively respond to the defence and security needs of the Afghan government. It is imperative for New Delhi to boost the security and defence capabilities of the Afghan national armed forces. Afghans have sanguine expectations to receive New Delhi’s renewed commitment towards enhancing security and defence cooperations. Why is an active indian military involvement in Afghanistan a strategic necessity for the two countries? The strategic realities of the surrounding region, brought Kabul and New Delhi to sign a strategic partnership agreement in October 2011. In accordance with the agreement, New Delhi is committed to the “training, equipping, and capacity building” of the Afghan national security and defence forces. Based on this landmark accord and facing Washington’s unwillingness to genuinely equip Afghan national armed forces, president Hamid Karzai, in May 2013, presented a “wish-list” to New Delhi asking for lethal and non-lethal weaponry including military helicopters, medium-lift aircraft, tanks, 105 mm howitzer artillery and etc. As an aide to the president, during the May 2013 visit to New Delhi, I observed Karzai’s desire to encourage Indian leadership for a more active role in the region’s geopolitical stability. He was stressing that India’s – as well as of the region’s – security is tied to a stable Afghanistan. India should transform itself to a more credible regional actor. But wary of a Pakistani reprisal and an unsupportive US reaction, under prime minister Manmohan Singh, the previous Indian government was hesitant to fulfil Kabul’s “wish-list” at that time. Instead, between 2004 to 2014, India continued to lean more towards a soft-engagement in Afghanistan; providing more than $2 billion to Kabul mainly for humanitarian assistance, infrastructure and capacity building projects. New Delhi, seemingly, had left regional affairs in its neighbourhood to the United States. Though New Delhi could have been America’s bona fide ally in the war on terror, it was marginalised as Washington, for its Afghan strategy, relied more on Islamabad. Indians soon perceived that Pakistan’s ever-existing paranoia about India’s influence in Afghanistan, has led Washington to be “actively discouraging India from assuming a higher profile in Afghanistan” iv. Now, the changing ground realities of Afghanistan seem to have made Prime Minister Narendra Modi’s government to reconsider their military engagement with Afghanistan. By supplying attack helicopters from the old Kabul’s wish-list, New Delhi is practically building on a foundation laid by the former president of Afghanistan. Modi’s government seems to have reassessed its regional objectives realistically and is now upgrading New Delhi’s security role in Afghanistan. According to the Indian ambassador to Afghanistan, Amar Sinha, the Afghan national security advisor, Hanif Atmar’s upcoming visit to New Delhi will “focus on reviewing the bilateral cooperation in all sectors”, besides the situation in the region, “the peace process and the outlook of major powers”. 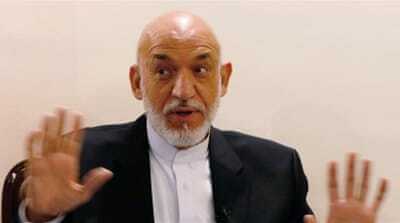 Afghanistan’s deputy foreign minister, Hikmat Karzai, will be also visiting New Delhi later this month. For all intents and purposes, India has successfully engaged the Afghan national unity government after a year of confusion and blurriness. Ghani’s government has seemingly come to the realisation that it is a strategic blunder to distance itself from New Delhi.All that is good news for Afghanistan, India’s second largest recipient of development assistance. But India – as a responsible regional player – also needs to work with regional allies. As violence by new brands and designs of terrorist groups intensifies in the region, ensuring stability in Afghanistan will contribute to the regional stability, which, for India as a regional power, is of a fundamental interest. Therefore, New Delhi should coordinate its Afghan policy and enhance its cooperation with Russia, China and Iran. In spite of their divergent interests in the region, Russia, China, India and Iran should be glued to strongly support Afghanistan and jointly fight the current political menace: terrorism. Pakistan needs not worry about the enhancement of military cooperation between Kabul and New Delhi. Characterised by realism, Islamabad also has growing stakes in peace and stability in Afghanistan. Instead of a terra firma for rivalry, Afghanistan should become a theatre for confidence building between New Delhi and Islamabad. Obsessed with its growing “war on terror”, Washington D.C. should officially welcome and support India’s momentous gesture to deliver combat helicopters to Kabul.